"This cocktail's origin has nothing to do with Moscow or mules, but after a few sips of this vodka, ginger beer, and lime concoction, no one will care." A thoroughly refreshing vodka, lime juice, and ginger beer cocktail. 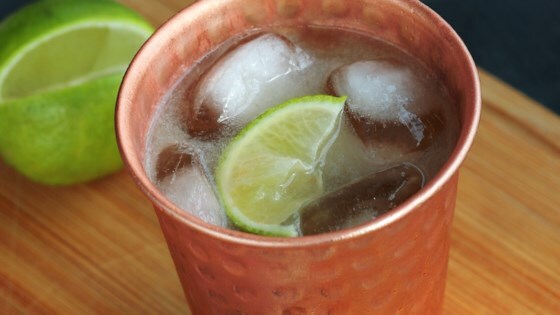 The classic Moscow Mule is served in a copper mug. This recipe is pretty good. Very good balance of sweet, sour, spicy (and boozy)! Watch out though...they go down too easy! Use premium Russian vodka, and there's your Moscow. Deliciously dangerous. It's good with blenheim ginger ale, if you don't have a ginger beer. I also enjoy it with Tito's vodka bc it has sweet finish and it's made in the US. This is the perfect summertime cocktail!! It's refreshing and actually quenches your thirst. Just remember to drink in moderation and enjoy!